Why are we “hopping” into the business? Hops demand is on the rise with the increase of craft brewers growing at the rate of 18% in 2013 (Brewers Association, September 2014). Craft beer sales have grown in the double digits over the past five years. The increasing popularity of craft beers and the desire for locally produced hops has opened the market for smaller growers throughout Nebraska and the Midwest. Rural farmers are faced with declining commodity prices and are looking for alternative crops to supplement their incomes. The hops industry is well established, but the supply of hops is not keeping up with demand from craft brewers. Micro/craft brewers have grown from eight in 1980 to over 2800 in 2013 (Brewers Association, September 2014). The demand for locally sourced hops by these craft brewers is opening up the market to small local farms in Nebraska and the Midwest. 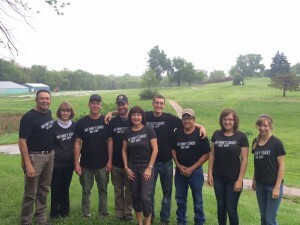 Our venture started in the summer of 2014, when Annette and Bruce Wiles started bringing together a group of dedicated people to focus on establishing large-scale hops production in Nebraska. After an immense amount of best practice research, conference attendance and discussions with fellow growers and processors across the country, we are excited to begin announcing our plans for the local hop industry.